Ford named Farley as president of Europe, Middle East and Africa. He starts Jan. 1. 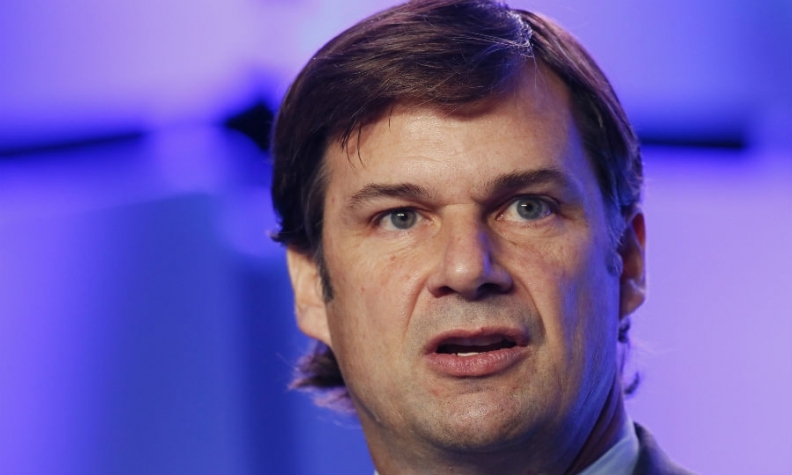 MUNICH -- Ford Motor said its new Europe chief Jim Farley is tasked with accelerating the automaker's turnaround in the region, where the automaker expects to lose $1.2 billion this year. Farley will be responsible for achieving profitable growth in Europe "through an unprecedented focus on new products, a strong brand and increased cost efficiency," Ford said in a statement today. Farley, 52, is swapping jobs with Stephen Odell, 59, who has been Ford of Europe president since 2010. Farley will move to Ford's European headquarters in Cologne, Germany, while Odell will move to company headquarters in Dearborn, Michigan, to take Farley's role as the automaker's global sales and marketing boss. The executives start their new roles on Jan. 1. Both will continue to report to Ford CEO Mark Fields. The moves will see Farley get his first senior operating role at the company and bring his seven years of experience as marketing chief to Ford's Europe, Middle East and Africa (EMEA) operations, which have been losing money for years because of Europe's austerity-scarred market. Farley, once considered in the running for Ford's top job, will get operating experience and the chance to lead a turnaround, said two people familiar with the internal discussions, who asked not to be identified. "The idea here is to give a 'fresh eyes' approach both to EMEA and global marketing, without tearing up everything," a senior Ford official said. Farley joined Ford in 2007 following a meteoric career at Toyota where he was general manager of Lexus and instrumental in launching the Scion brand in the U.S. At Ford, Farley has pushed Ford to become a leader in digital marketing, especially social media prelaunch campaigns for vehicles. Farley "has done an excellent job improving our brand image around the world," Fields said in the statement. His "commitment and passion for building the Ford and Lincoln brands have enabled us to connect with customers in new and innovative ways. He will have an opportunity to apply that same passion to build on the success of our products today in Europe and grow our business in the Middle East and Africa regions," Fields said. Ford's European division is undertaking an aggressive product rollout, with 10 launches this year and 25 over five years. Ford of Europe, along with the rest of the region's carmakers, has struggled as the economy has undergone a lengthy recession. A plan to return its European operations to profit in 2015 could not be realized because of growing turmoil and falling sales in Russia, Fields told investors at a meeting in Dearborn in September. Ford expects its European operations to lose $1.2 billion on a pretax basis in 2014. The company’s third-quarter losses in the region widened to $439 million amid weakness in Russia. Ford lost $1.6 billion in Europe last year. The company now forecasts it will reduce pretax losses to about $250 million in Europe next year because of capacity cuts. It no longer expects European auto demand will return to prerecession sales levels even by 2020. Fields said Ford is "poised to profitably grow as the region emerges from a long downturn." Ford said Odell has been instrumental in leading the development and implementation of the company's European transformation plan and the strategic development of the company’s Middle East and Africa operations. Odell led Ford’s effort to end losses at its European operations under two major initiatives. Ford of Europe has been shuttering plants to bring manufacturing to 80 percent of capacity, which executives see as a prerequisite to profits. Ford will close its Genk, Belgium, plant at year end. That move follows the closing of plants in Southampton and Dagenham, England, last year. In his new role, Odell will focus on continuing to build the Ford and Lincoln brands globally through "innovative new digital communications and transforming the retail experience for customers," Ford said. Odell joined Ford in 1980 as a graduate trainee for Ford of Britain. He was Fields' marketing and sales chief at Mazda in 2000, when Ford had a controlling stake in the Japanese automaker. Odell ran Volvo Cars before Ford sold the Swedish automaker to China's Geely in 2010. Fields said Odell "was instrumental in turning around Volvo and Mazda" by reinvigorating their product lines, improving their brands and addressing cost and capacity issues. He credited Odell with leading Mazda's "Zoom Zoom" ad campaign. "He brings a wealth of global experience in marketing, sales and service to his new assignment," Fields said.